According to the Centers for Disease Control, every year, 30.8 million people visit the emergency room for unintentional injuries related to accidents. Car accidents, drunk driving crashes, motorcycle accidents, and slip and fall injuries all contribute to these emergency room visits. While no one plans to be in an accident, many accidents are highly preventable. When individuals or companies fail to take steps to prevent accidents, they could find themselves liable for paying for damages if another person gets hurt. For example, drunk drivers may be responsible for paying for victims’ medical costs, lost wages, and pain and suffering damages after a car crash resulting from drinking and driving. Premises owners may find themselves facing a lawsuit if these owners failed to take steps to prevent accidents on their properties. Finally, victims and families may have the right to seek damages from car insurance companies or homeowner’s insurance companies if they have suffered as a result of a car accident or slip and fall accident. The Law Offices of Jeffrey A. Rosenberg, PLLC is an accident law firm in Boca Raton, Florida that helps victims of car accident, motorcycle crashes, drunk driving accidents, and slip and fall injuries seek damages following these accidents. Victims and their families may struggle with unexpected medical bills, may have to miss time from work to recover their losses, and may have difficulty making ends meet. In addition, some victims may face major lifestyle changes as a result of their crashes. In the aftermath of a crash, victims may no longer be able to care for children or family members, may no longer be able to enjoy regular life activities, and may struggle with disability. If you or a loved one was hurt in an accident in Boca Raton, Florida, reach out to the Law Offices of Jeffrey A. Rosenberg, PLLC. Our accident lawyers offer clients a free initial consultation during which we can review the circumstances surrounding your accident, review your losses to estimate the value of your damages, and fight to help you get the recovery you may deserve under the law. What is My Accident Claim Worth in Boca Raton, Florida? Role of negligence. Florida law follows the pure comparative fault rule, which allows victims of personal injury to collect damages even if the other driver is only 1% at fault. Why would a victim want to seek damages if the other driver is only 1% at fault? 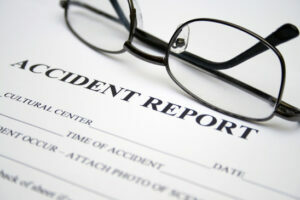 Sometimes victims suffer serious personal injuries in car accidents. For example, spinal cord injuries can cost victims tens of thousands of dollars in rehabilitative and medical care over the course of a lifetime. According to the Christopher & Dana Reeve Foundation, the first-year costs of serious spinal cord injury averages $1,064,716 and, on average this kind of spinal cord injury can cost victims and families hundreds of thousands of dollars a year in nursing care, rehabilitation, and medical care. Even 1% of these kinds of losses can offer families significant relief in their medical bills. Furthermore, these figures don’t even begin to consider lost wages and pain and suffering damages these victims may be able to seek. The Law Offices of Jeffrey A. Rosenberg, PLLC are accident lawyers in Boca Raton who can look at police reports, speak to witnesses, and even hire experts to estimate the role of negligence each party may have played in your car accident. Our compassionate and caring lawyers work hard to build the strongest case possible for our clients. Medical Bills. The Law Offices of Jeffrey A. Rosenberg, PLLC are accident lawyers in Boca Raton who will also review your medical bills, and your medical diagnosis to estimate future medical expenses. You may be entitled to seek damages not only for past medical bills you have incurred, but also damages for future medical costs. Lost Wages. The amount of money you can collect in lost wages will depend on how much money you make and how long you will miss from work. If you have been temporarily or permanently disabled as a result of your accident, the Law Offices of Jeffrey A. Rosenberg, PLLC are accident lawyers in Boca Raton, Florida who may be able to help you seek damages for future lost wages. Pain and Suffering. Pain and suffering damages are among the more subjective figures that the accident lawyers at the Law Offices of Jeffrey A. Rosenberg, PLLC in Boca Raton will estimate. Pain and suffering damage values will depend on the seriousness of your injury and the costs of your medical expenses. The accident lawyers in Boca Raton at the Law Offices of Jeffrey A. Rosenberg, PLLC can use a special formula that multiplies your medical costs by another number known as a multiplier. The more serious your injury, the higher your multiplier. Want to learn more about what your pain and suffering damages might be worth? 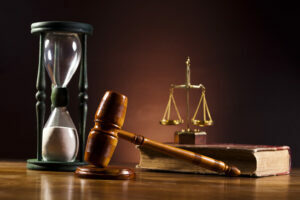 Speak the Law Offices of Jeffrey A. Rosenberg, PLLC in Boca Raton, Florida today. Before seeking damages from negligent parties or seeking a settlement with insurance companies, it can be helpful to understand the value of your claim. The Law Offices of Jeffrey A. Rosenberg, PLLC, is an accident law firm in Boca Raton, Florida that offers victims of car accidents, slip and fall accidents, and drunk driving accidents a free initial consultation to review a claim. Contact our firm today to learn more. Navigating the claims process after an accident in Boca Raton, Florida can sometimes be complex. Insurance companies may sometimes use special formulas when estimating the value of a claim and these estimates may not always reflect the actual value of your claim. The accident lawyers at the Law Offices of Jeffrey A. Rosenberg, PLLC in Boca Raton, Florida may be able to help you negotiate with insurance companies and fight negligent parties for the best possible settlement permitted under the law.